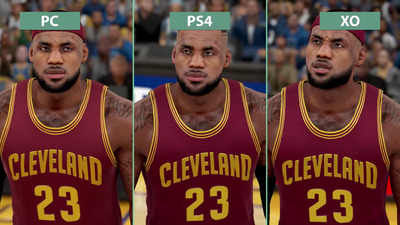 There’s no two-ways about it: video games look better on PC than the PlayStation 4 and Xbox One. Sure, you might have an ageing computer that can’t run games at their absolute highest resolution/framerate/etc. In that case, it’s on you to upgrade your hardware. 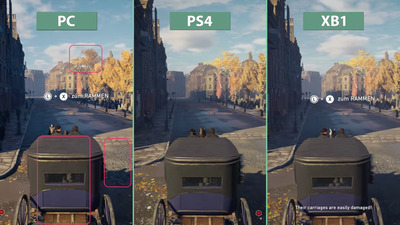 Otherwise, literally any game with a PC version as well as a console version will look better on PC. Period. 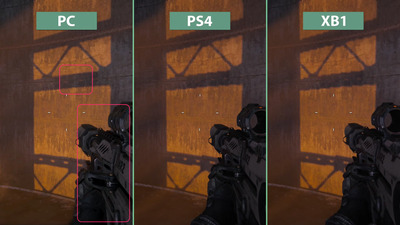 On the flipside, consoles (Xbox One and PS4) have specialised and uniform components that enable game developers to push every ounce of juice from the consoles. 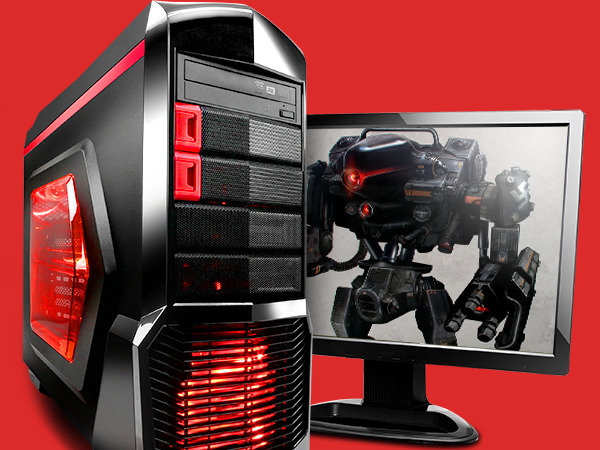 It can be impressive, but can’t possibly match the sheer power you can get in a PC. 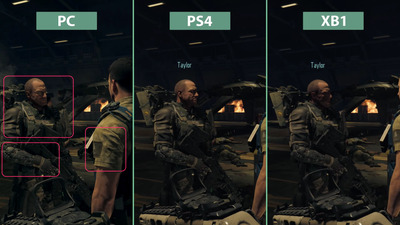 Look at those jagged edges on the console versions -- this is one of the more standard differences between PC and console versions of games. 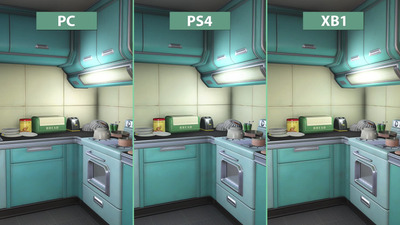 It's the details that matter here: the shadows in the pink box are more nuanced than the console equivalents. This close-up also shows how shadow details aren't as sharp or detailed. 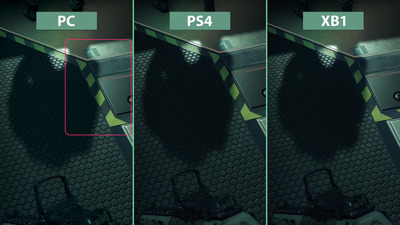 Edges are generally more jagged on the consoles, too. 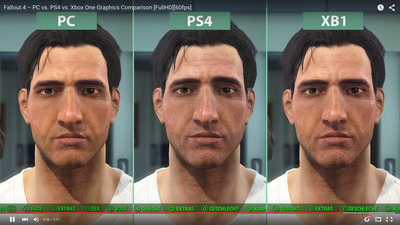 It might look like the Xbox One is recreating 19th London's signature industrial smog better than the others. But the fog is actually hiding the fact that the Xbox can't process the enormous amount of building detail in this scene. 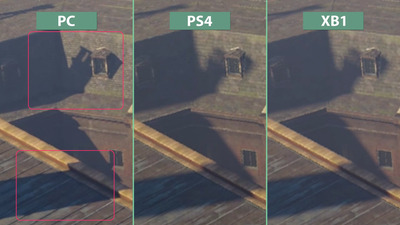 You can see more detail on PC than either console. 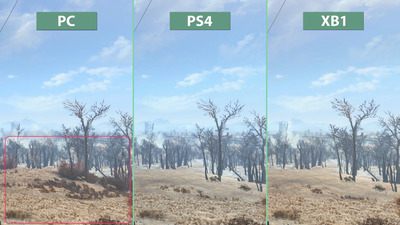 The PC version of 'Fallout 4' has way more grass, bushes, and trees here. 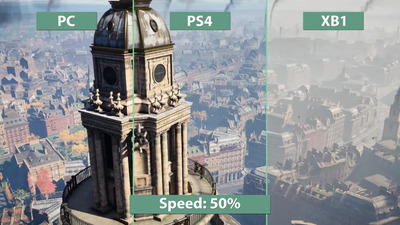 This is another standard difference between console and PC games: density and complexity of flora. There isn't much difference in this indoor scene, though. 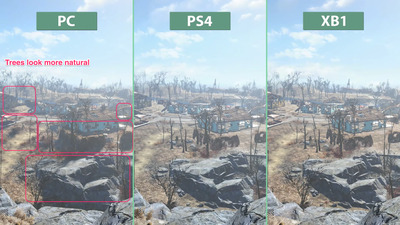 The biggest differences you'll see in 'Fallout 4' are in wide-open spaces (of which there are many). Nor is the difference that perceivable with faces. Colours are slightly different, and detail is slightly greater on PC, but that's about it. It looks pretty gorgeous on all platforms. 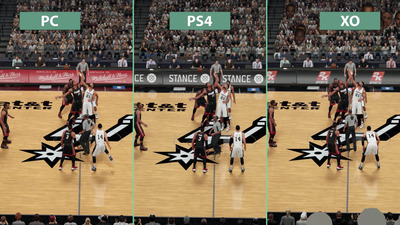 The shadowing is slightly better on the PC version. 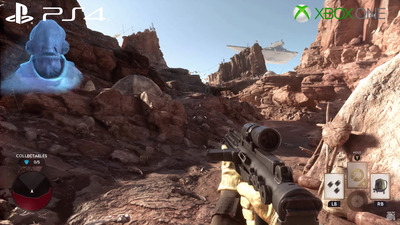 Otherwise, the console versions look remarkably good compared with PC. This could very well be a measure of the exclusivity agreement Sony made with EA -- it doesn't make much sense for the PC version to look dramatically better than console when Sony's paying for exclusivity rights! 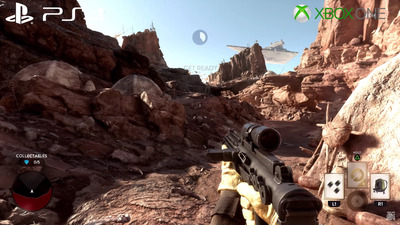 There's some noticeable blurriness from the Xbox One, unfortunately, and the scene looks comparatively washed out. It's slightly fuzzier on the Xbox One, but I'm nitpicking. There's no perceivable difference here, though it does look like LeBron James is making sure no secret spies are afoot. 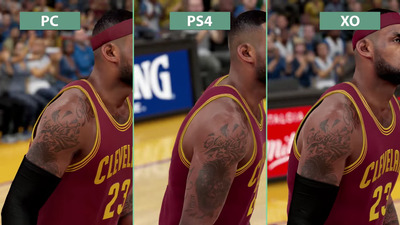 All platforms deal with James' tattoo as well as the others. 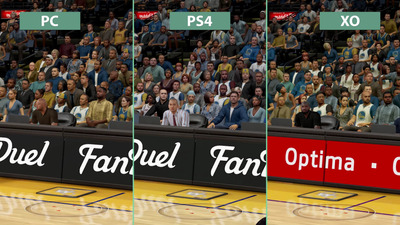 Surprisingly, there's no real difference in the crowd here either -- that's one area of distinction you see pretty regularly in sports games on PC vs consoles. 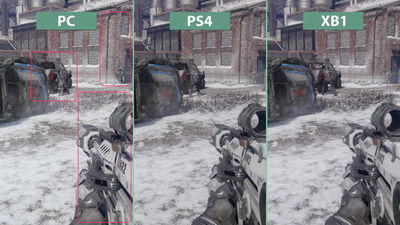 The Candyland YouTube channel compares how games look on previous generation consoles with the latest models, in addition to the variety of PC comparisons with current-gen consoles. 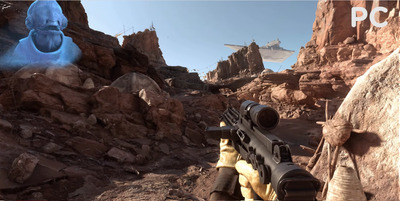 They even compare original games against mods, some of which are designed to make the game look better. So before you go around installing all the mods under the sun, check them out first to see if they're worth using!